They say that the first step to recovery is admitting that you have a problem. I am addicted to coffee, and I wouldn’t have it any other way. 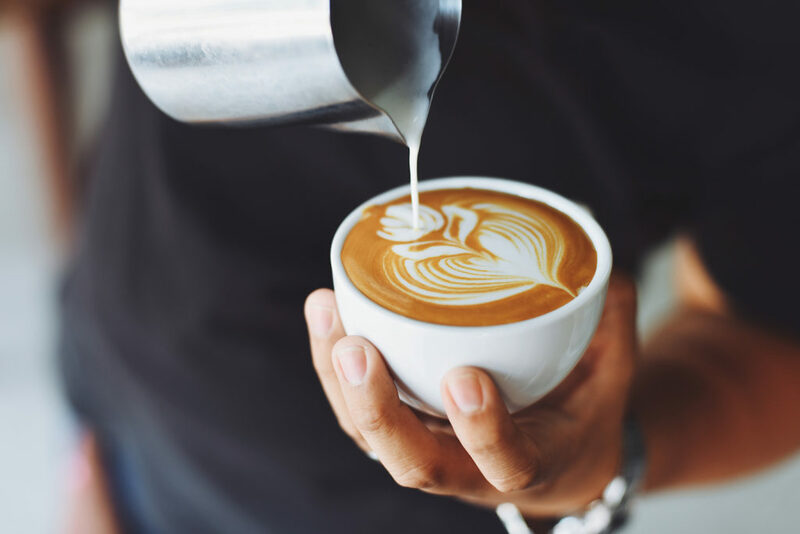 I was lucky enough to be raised in a household of coffee enthusiasts (addicts might be a better term, actually), who passed on their love of coffee to me. I’ve been exposed to coffee for as long as I can remember: from coffee flavored ice cream (which probably has no caffeine content) as a kid, to indulging in a shot of espresso while watching the most recent episode of “Game of Thrones.” Every family breakfast, holiday dessert, and rainy morning has been paired with a fresh cup of scrumptious coffee. You can definitely count me in for anything and everything coffee related. There have been a few times where our coffee pot has fallen off of the counter and I could see in my whole family’s eyes that the world had temporarily ended — a moment of panic, quickly followed by a trip to Costco to replace the machine. Like a camera needs batteries to work, my family needs coffee. Believe me, mornings can be very slow and ugly if someone doesn’t have their coffee, so for everyone’s sake, coffee is a staple in my household. I have vivid memories of being woken up at 6 a.m. on ski trips by the sounds of coffee beans grinding in a blender because the house we stayed in didn’t have a coffee grinder. The distant shouts of “Who wants coffee?” echo through my mind every time I smell a fresh pot brewing. I know the three beeps that the microwave makes to indicate that my mom’s coffee is warm again like the back of my hand. I have no bad memories associated with coffee — except for one time when I was a kid and my aunt asked me to put the lid back onto her coffee and I spilled it all over my leg and burned myself. That was probably my own fault for not knowing at that age how important coffee would be to me later in life. There is nothing that I look forward to more than going home to see my family and to enjoy a nice cup of fresh coffee. Coffee is a comfort for me — when I’m having a rough day or missing home, I just go get some coffee and it brings me back to a peaceful state of mind. My mom still uses the same mug that she has used for the past 10 years (a huge Starbucks mug that fits perfectly in her hands). You can always tell when my dad has made coffee because there will be a teaspoon with coffee still in it sitting on the counter by the sugar bowl. I’ve had many iced coffees go missing when I turn my back and my brothers are around. There’s honestly nothing better than sitting down to do some work with a puppy by your side and a fresh cup of coffee in your hand.